8 Different Kinds of Jeans That Every Lady Should Have In Her Wardrobe!! Jeans are one of the most comfortable piece of clothing all of us own. They are trendy, can easily be paired with any kind of tops and can be repeated be worn without having to worry about people noticing you. They are not only the best friend of our wardrobe but they are also life savers. The benefit of owning jeans is that they don't have to be washed on the continuous basis and can be worn every single day. Most of us own a pair of jeans that is our favourite and we shamelessly wear it as much as possible because, dammnnnn they are super comfortable! There are various different brands of jeans that launch different collections of jeans every now and then. Not only it is hard to keep in mind about all those different brands but it is also extremely hard to keep in mind about different types of jeans and their funky names. We have brought you a list of 8 basic jeans that are not only gorgeous but should definitely be in your wardrobe and if you don't have them then you better rush to your nearest store and get them. 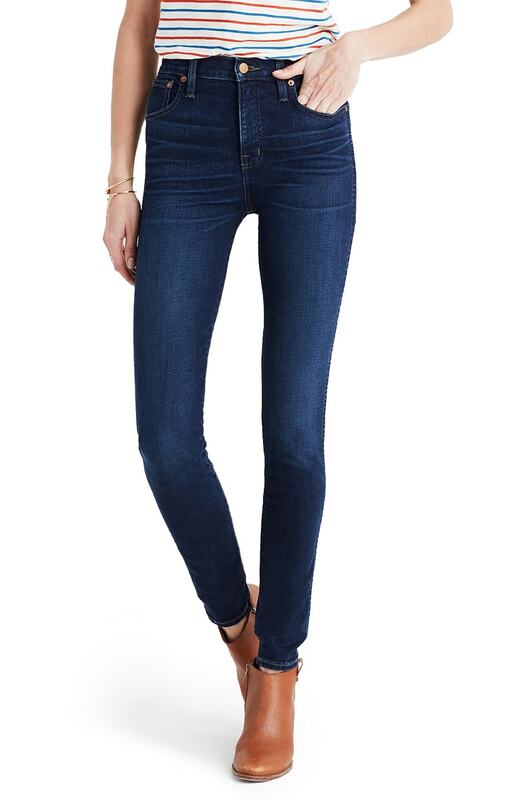 As the name suggests, skinny jeans are extremely snug and body hugging. They take shape of your legs like second skin and are great for showing off lean and mile long legs. Nowadays, skinny jeans come in stretchable material to make them comfortable and are available in mid rise, high rise and low rise. As the name suggests boyfriend jeans are the kind of jeans that looks as if you have borrowed them from your friend and worn them. They are extremely stylish and are fold from the end. They are not too snug neither too loose. Boyfriend jeans can be worn at all the places and are available in distressed and non distressed style. Cigarette jeans are a kind of skinny jeans that do not go to full length. They stop short few inches about ankle. The cigarette cut jeans are extremely popular among people as look beautiful and different. Straight leg jeans are for those ladies who lack the confidence of wearing skinny or super skinny jeans. They come somewhere between flared, skinny and straight. 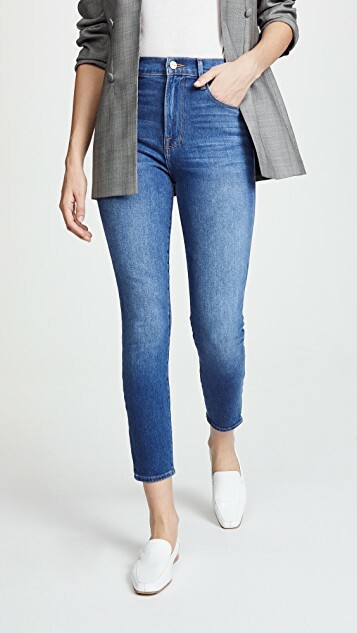 These jeans hugs you hips but then fall straight instead of hugging entire leg. They look classy and make legs look mile long. Also known and considered as mommy jeans they are extremely popular among people of all ages. These jeans are one of the best combination of style and comfort. They have snug fit from waist till knees and then they get a little flare and end below ankles. Jeggings are the love child of leggings and jeans. They are kind of skinny jeans but with elastic band at waist instead of button and zipper. They are stylish and chic and can be worn at all the times. They are super comfortable because they do not put pressure on stomach and does not suffocate you. 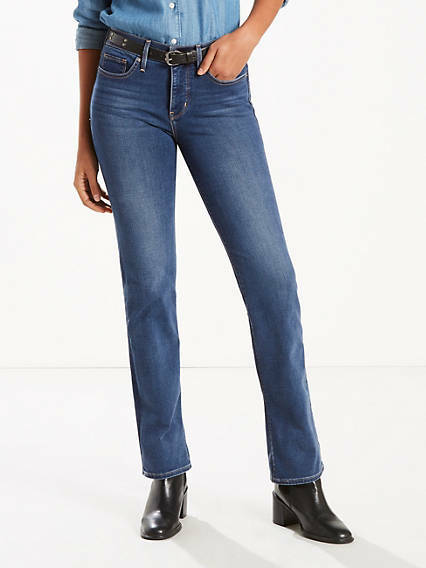 Flared jeans are essentially a combination of bell bottoms and boot leg jeans. These are the retro version of jeans. Flared jeans are flared from he waist and remain so till they end. Infact them become more flare-y as they go down. 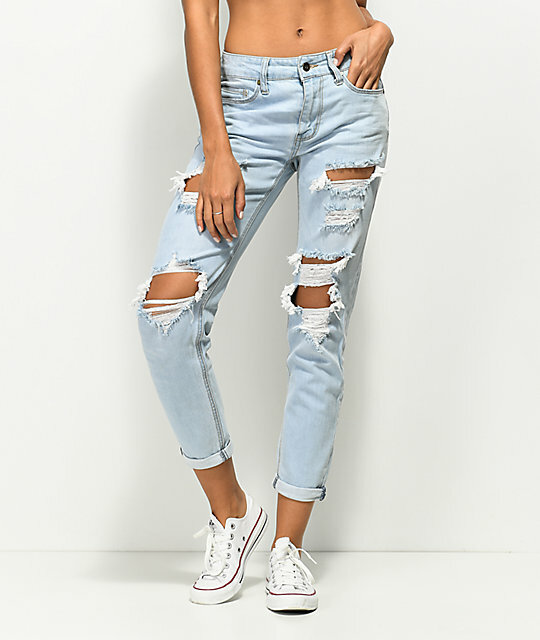 Low rise jeans are what you will basically have known something as low waist jeans. They came like a rage and people still are crazy about this trend. They start from just under your belly and go down. They are available in all forms, skinny, flare, boot leg, distressed.